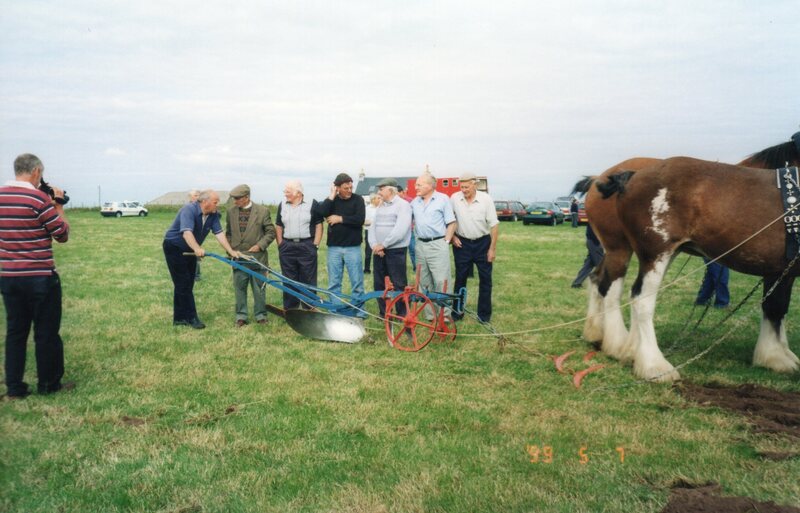 Colour photograph of a demonstration of ploughing using Clydesdale horses at an Agricultural Show in 1999. 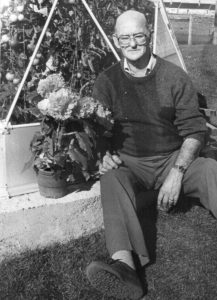 Those identified include Roddy MacKay (filming), Donald MacIntyre, Angus MacLean. 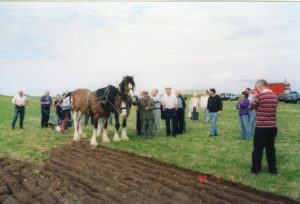 Colour photograph of a demonstration of horse-drawn ploughing at the Agricultural Show in 1999. 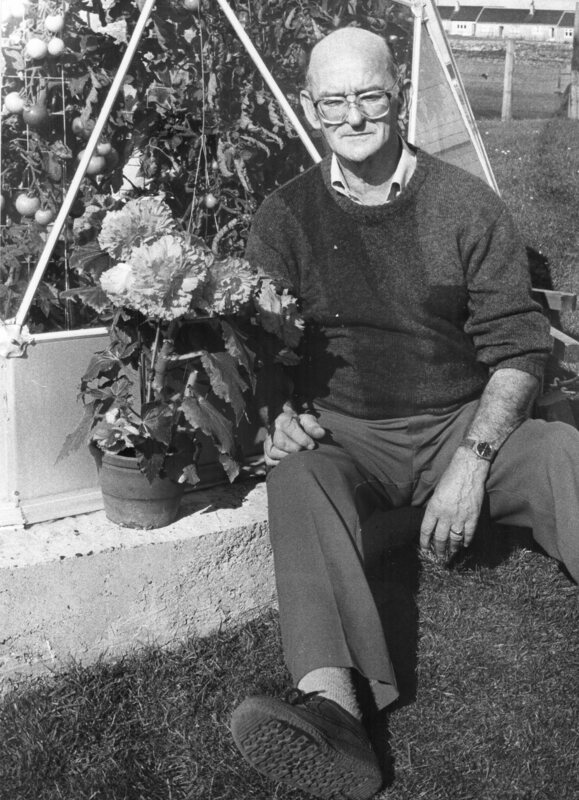 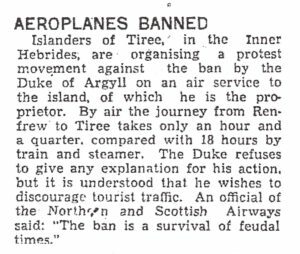 Among those identified are John Alec MacDonald, Rena MacKinnon, Lachie MacKinnon, Donald MacIntyre, Angus MacLean, Neil MacArthur, Julie Worsley, Lachie MacFadyen, Roddy MacKay. 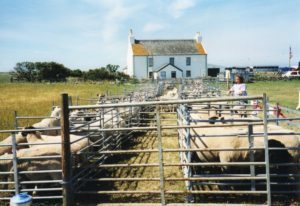 Colour photograph of sheep in pens at an Agricultural Show at Whitehouse around 2000, with the Whitehouse in the background. 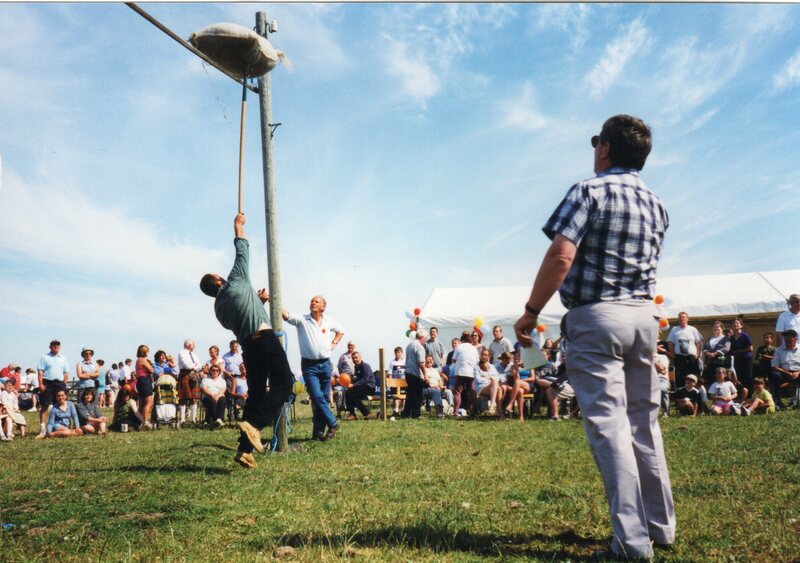 Colour photograph of a competitor ‘Tossing the Sheaf’ at an Agricultural Show at Whitehouse around 2000. 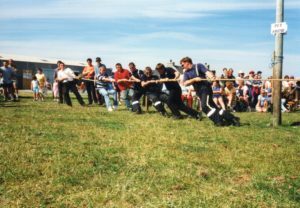 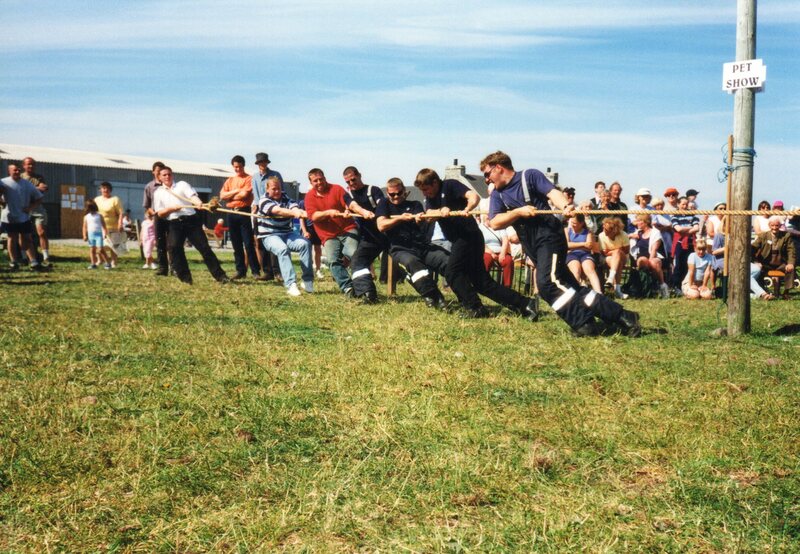 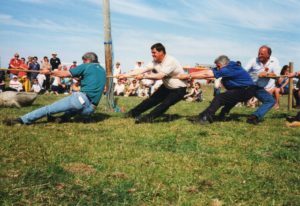 Colour photograph of a tug-of-war at the Agricultural Show at Whitehouse around 2000.